We are delighted to announce our sales and customer success team will be attending some of the largest health and safety tradeshows in 2018. You will be able to find our team in the UK attending the Health & Safety Event at the NEC, Birmingham from April 10th to April 12th. 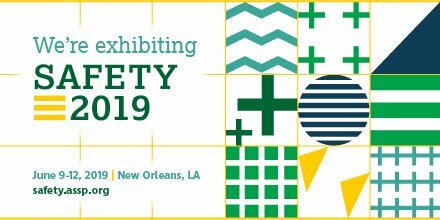 In June we will be travelling to the ASSE Safety 2018, Henry B. Gonzalez Convention Center in San Antonio, TX, USA for the June 3rd to June 5th.